Welcome to the Pack Committee. Congratulations! You may have wanted to get involved in your Pack and the committee seemed to be a great place for you. Below are the typical positions in a pack committee and what the responsibilities are. 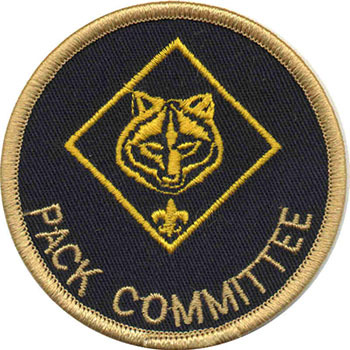 Check with your Pack Committee Chairman to find out if there are any other expectations of your position specific to your pack. Do you have a skill that fits any of these positions? Volunteer to take that job. Retain a contact list of all Cub Scouts and parents for communication purposes. Maintain minutes from committee / leaders’ meetings. Maintain registration and fee records of all Cub Scouts and leaders. Orient new families on the registration process as they join throughout the year. Work with district representatives to plan the fall / spring recruitment. Ensure all leaders have access to training though online and personal coaching. Maintain training records for all leaders in the pack. Maintain the pack’s financial records and present statements at each monthly leaders’ meeting. Maintain record of each Cub Scout’s account. Work with the product sales chairman to coordinate sale. Reimburse leaders for expenses they might incur for approved den projects. Serve as the trained BALOO leader for pack camping trips. Work with Cubmaster to plan and execute pack camping trips. Provide a camping trip supply list for pack parents. Coordinate registration of Cub Scouts for District/Council Cub Scout Event. Work with each den leader to ensure that advancements are turned in each month prior to pack meeting. Coordinate with Cubmaster so that each pack meeting has a meaningful advancement ceremony. Track and maintain records of each Cub Scout so that all leaders know the status of each Cub Scout’s rank. Input advancement records online in order to acquire the rank and advancement patches from the Scout Shops each month prior to the pack meeting. Coordinate an exciting kickoff with the Cubmaster. Encourage parents to participate in all pack’s sales. Work with pack Treasurer to maintain sale records. Serve as the contact person for the pack so that the Council may communicate information about the sale.